The Ken Lindsay / Mark Strong partnership proved unbeatable in the Superlite Class. They took the lead on lap 27 and were never headed in the class after that. They finished in an incredible 3rd place overall as well as winning their class. This is the sixth win for King Kenny and 3 in a row riding with Harley Borkowski in the previous two races. This is Marks third win all riding with the King. #77 Tyler Bradford paired with Steve Kairl proved unbeatable on the day. #28 Jack McGauley on his Subway sponsored Honda RS85cr teamed with his Dad Marty and finished in a fine second place, this is their highest finish in this event. 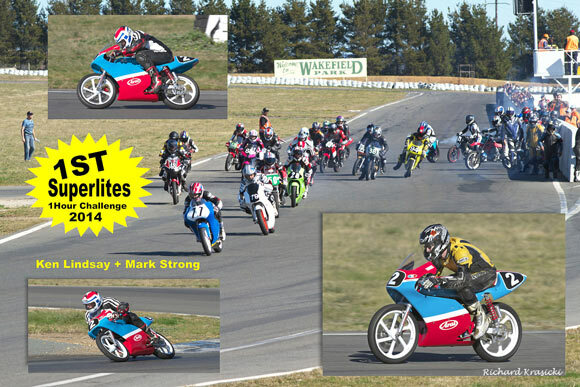 18 Brian Mowle on his CBR150 teamed up with Cycles Torques Chris Pickett and finished third in Motolite Class. In the Superlite Class David Phillips (above) had the #50 machine in the lead when he handed over to Fred Holland but there was no stopping the flying Mark Strong who relegated the #50 machine to 2nd place in class, 5th. overall. 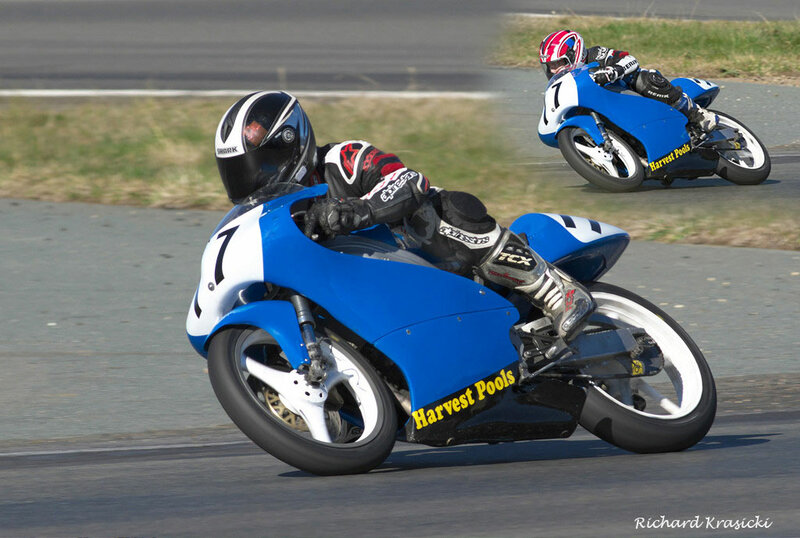 Father and son duo Jim and Junior Murphy rode to 3rd place. The #25 Ryan Phillips/Wane Gow pair were passed for 3rd place by a charging Junior Murphy on lap 29. They finished 4th in class and 9th. overall. 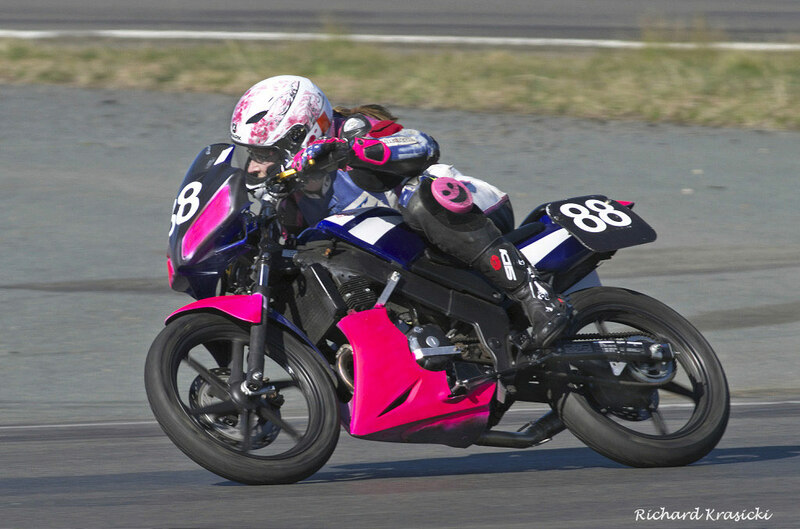 The #88 Leanne Nelson/Raschelle Sherwood team were fast and consistant to finish an excellent 2nd in their first foray into the Commuterlite Class. Andrew Martin on the 3rd placed Commuterlite. 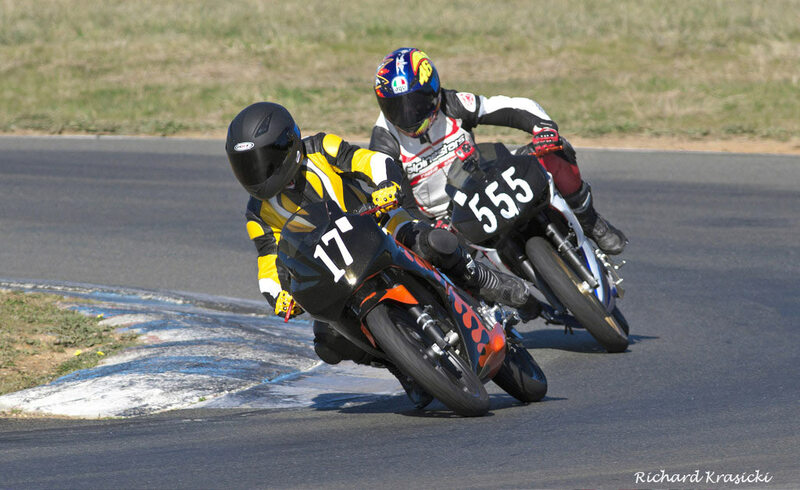 He co-rode with Adam Cameron on Adams #17 machine. They finished a mere 4 seconds behind the #88 bike. #555 Nicholas Miller follows on. A consistent performance by Phil and Rez Pulido netted a fine 4th. place. They missed the podium by only 3 seconds. 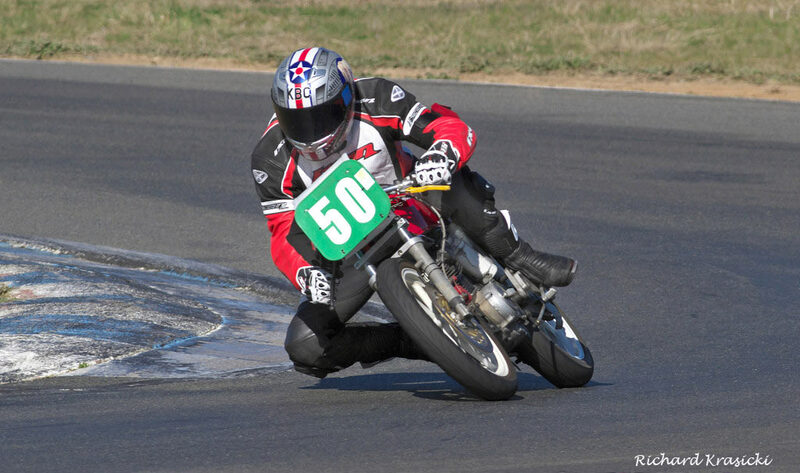 Race Report 2014 Bucket One Hour Enduro at Wakefield Park. 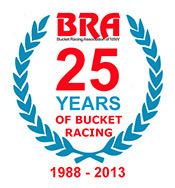 The Bucket one hour race was run the day after the Final round of the PCRA Championships and in total contrast to the previous day, it the last day of Winter was a warm sunny day ideal for racing. 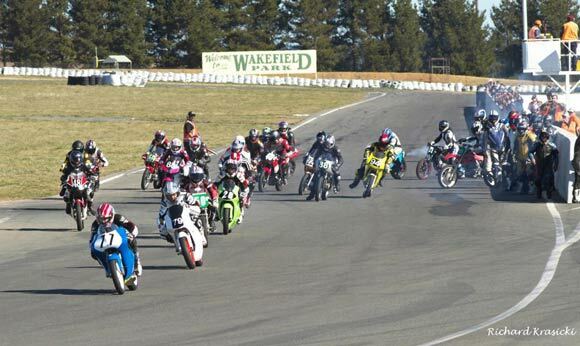 Twenty nine contestants stream away from the Le Mans style start in the 2014 Bucket Racing one hour Enduro. 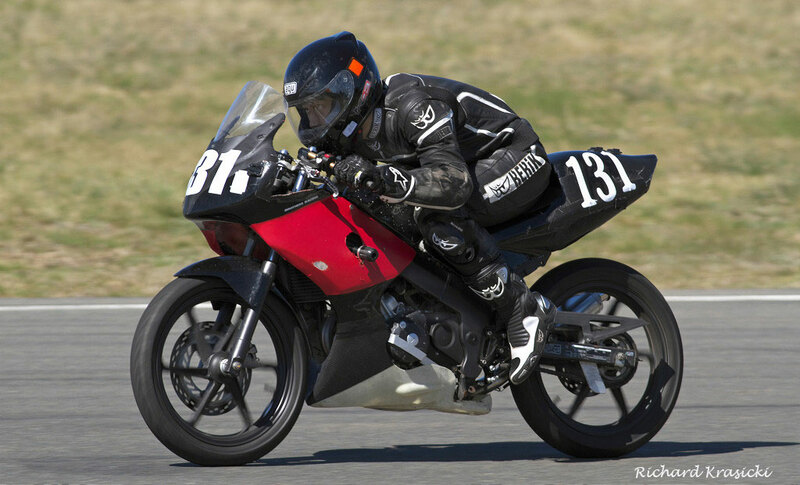 Motolite qualifying had the Tyler Bradford/Stephen Kairl BBE Honda CBR150 on pole (01:15.279) followed by the Ray Skidmore/Dan May Honda CRF150 (1:15.9390) and the Jeff Brown/Cru Halliday Yamaha YFZR150 third (1:16.9830). Unfortunately for Jeff and Cru a blown head gasket put them out of the event. Best of the Superlites was the #2 Ken Lindsay/Mark Strong Honda in 5th overall with the best of the CommuterLites being Dean Scott on the #26 Anthony Vassallo/Dean Scott Honda CBR125 machine in an impressive twelfth. #77 Tyler Bradford and Steve Kairl Enduro victors riding Tyler's BBE Honda CRF150r. 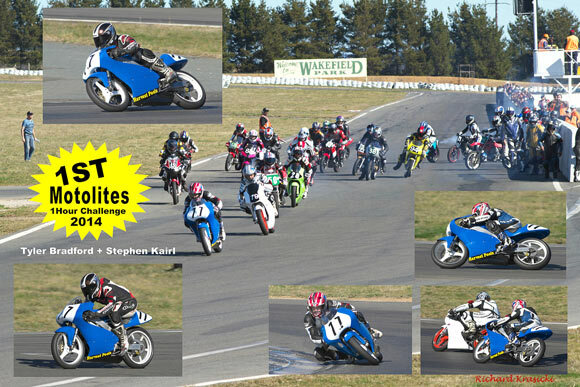 Due to accidents and delays with oil spills time was getting away and the One hour enduros were shortened to 50 minutes. After the usual push and shove of a Le Mans Start the Bucket field got away to a safe start with Steve Kairl on the #77 Blue Motolite getting the holeshot. However Dan May on the White #79 Honda RS150CRF took the lead first time around and with the lead changing back and forth between these two it was exciting stuff. 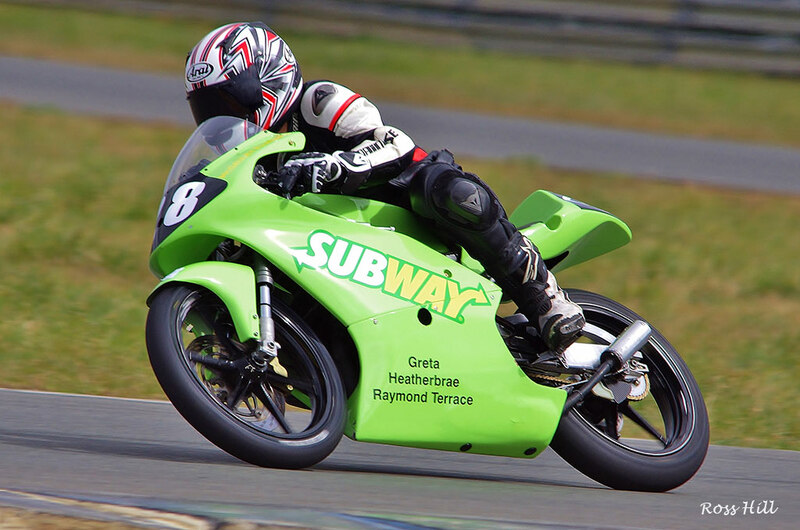 Unfortunately on lap six the #79 machine struck a problem with the left handlebar slipping on the fork leg causing Dan's pace to drop away and by lap twelve the McGauley father and son duo Marty and Jack (Subway #28 Honda RS85cr) took control of 2nd place and held it to the end. Dan May pitted on lap 17 and a lengthy stop to tighten the wayward handlebar dropped them down to fifteenth but now the bike had an overheating problem. It was just a matter of getting to the finish and with Raymond Skidmore doing the second stint he climbed back through to sixth overall, fourth in Class. 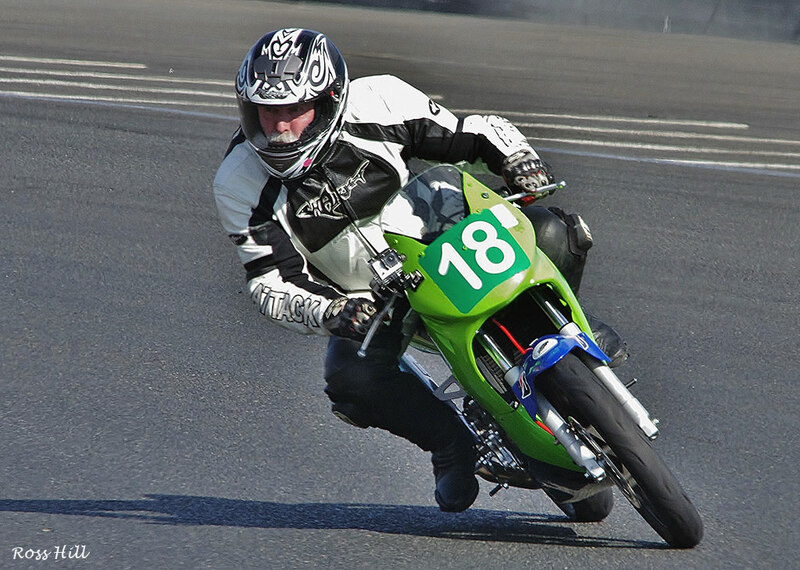 The #18 Brian Mowle/Chris Pickett Honda CBR150 with Brian doing the first stint had been as high as fifth and when Chris took over he brought it home to fine third place in the Motolite Class. #94 Tim Smith riding John Olips Moriwaki was fluctuating between 5th and 6th and pitted for rider change in sixth position. However when John Olip rejoined the fray they were down in twelfth place. John brought it home to seventh. The #22 Jeff Angel/Ken Morgan Moriwaki from sixteenth on lap one worked their way up to 5th at their changeover but struck a machine problem in the second stint and dropped down the order to finish twenty first. 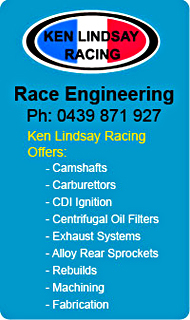 Six times Superlite Class winner Ken Lindsay partnered with Mark Strong again this year. Mark is retiring at the end of this year so he's going out on a high. 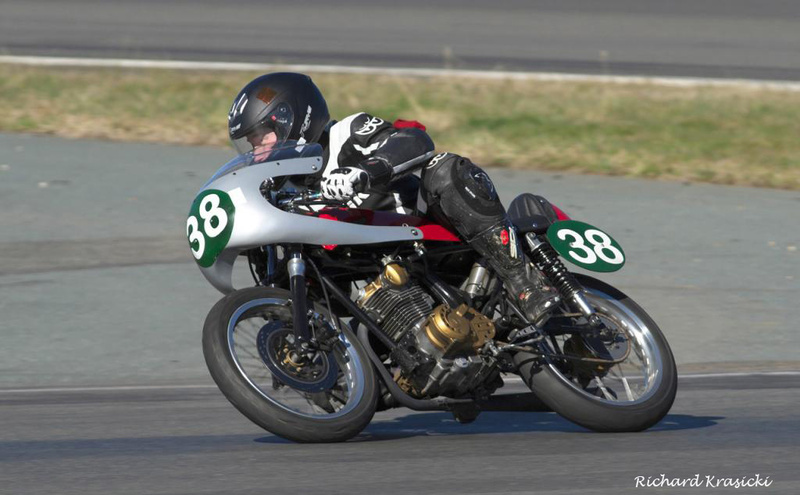 In the Superlite class the #50 David Phillips/Fred Holland Honda 150 was the early class leader with both riders running consistently in third place overall in their respective stints. On lap 27 Mark Strong riding the Ken Lindsay Honda RCB150 passed Fred for the lead for the Superlite class win and ultimately to a impressive third overall. This is the sixth Superlite win for King Kenny. Paired with Mark this formidable duo won in 2005, 2009 and now this year. This will be Marks last one hour as he is retiring from racing this year, nice to go out on top. 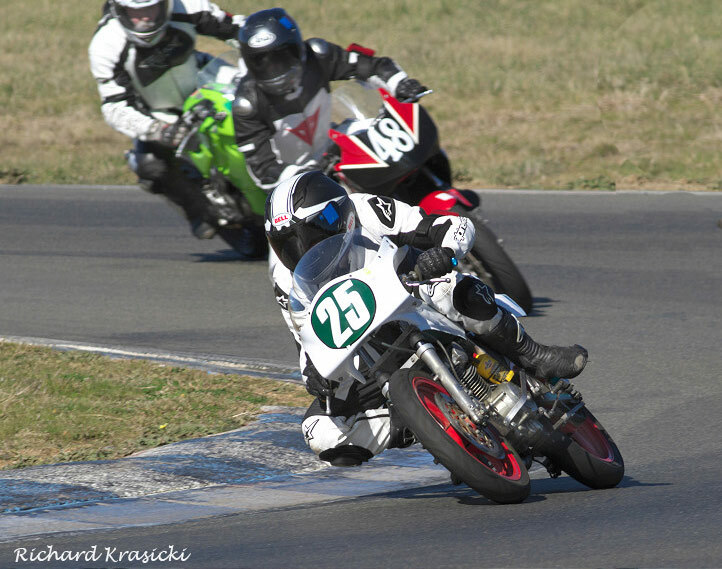 The #25 Ryan Phillips/Wayne Gow Honda CB150 had been running in a strong third place but on lap 29 was passed by the #38 Jim Murphy/Junior Murphy CB150 (Junior riding) who went on to finish third in class, eight overall. Ian Gregory #169 Honda CB150 partnered with Jake Orford had started from grid 24 and worked his way forward to lead the Superlite class for a lap before handing over to Jake Orford. 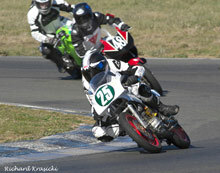 However the bike slowed with some issue but Jake brought it home to fifth in class. 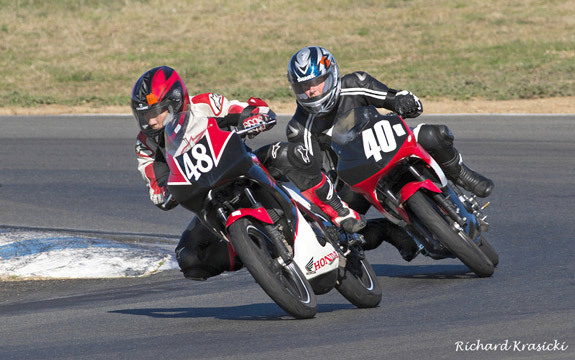 The Commuterlite class was very competitive with Ron Pulido and Nicolas Wenban first and second in PCRA Commuterlite PRO championship pairing together on the #48 machine. Another competitive duo Adam Cameron and Andrew Martin the Commuterlite AM top scorers riding on the #17 machine and with the female duo of Leanne Nelson and Raschelle Sherwood on the #88 CBR125 it looked like it was going to be a close contest. & The #48 of Ron Pulido and Nicolas Wenban was never headed in its class with the #88 Leanne Nelson/Raschelle Sherwood machine in close pursuit, who in turn had #17 Andrew Martin /Adam Cameron and the rest just seconds behind. Whilst the leading #48 pair were in a class of their own the battle behind was intense and at the end of the enduro from second to tenth was covered by just 53 seconds all on the same lap. Long or short races the Commuterlites continue to produce the closest racing. 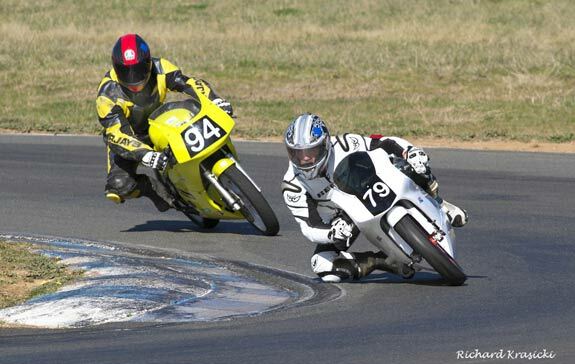 2014 Commuterlite PRO champion Ron Pulido and runner up Nicolas Wenban teamed up for the one hour and ran out comfortable winners of the class an impressive tenth overall. Ron (pictured) steered the bike home in the second stint. #40 Richard Cook/Colin Berry finished eight in same class (Colin pictured). Twenty nine riders make the dash to their waiting machines in the traditional Le Mans type start. 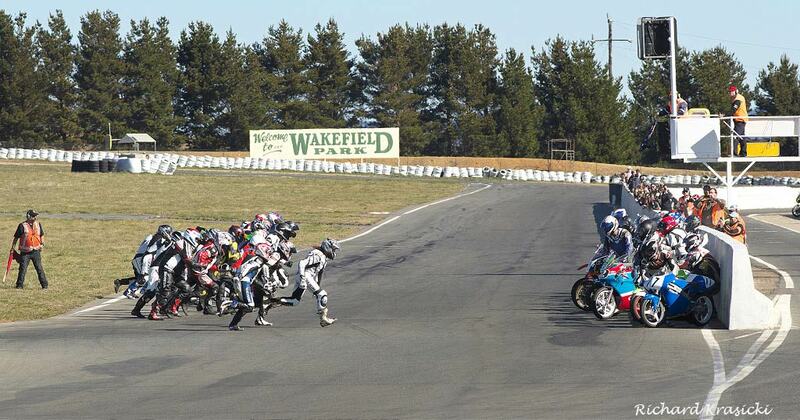 Despite looking chaotic everyone got away to a good start and some exciting racing ensued. 79 Dan May/Raymond Skidmore (Dan pictured) leading the #94 Tim Smith/John Olip. machine (Tim riding) they finished 4th. and 5th. in the above order.